Feb 2008 Louise was diagnosed with Colitis and Diverticuli, but tests also showed a possibility of Chrons. She was on various medications throughout 2008 and 2009 with nothing really helping. 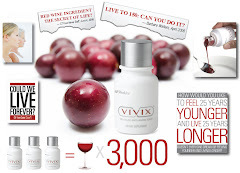 One day in late January of 2010 a friend called and talked to Louise about Vivix and offered to send more information along with testimonials. After reading the material, she ordered Vivix and after a month she thought is wasn't going to help but remembered her friend saying to try it at least for 2 months. She started taking Vivix in Feb and after 2 months she could see improvement and by 3 months Louise was symptom free and still is! Before taking Vivix she had diarrhea, bloody stools, and mucus discharge to the point she didn't leave the house but for a short time. She was basically living on toast, yogurt and drinking only water. She had no energy. Now she watches her diet but can eat most things, drinks mostly water and occasionally tea or soda. I am now able to do my regular activities. Louise said, "I'm so thankful for that call from my friend in 2010."